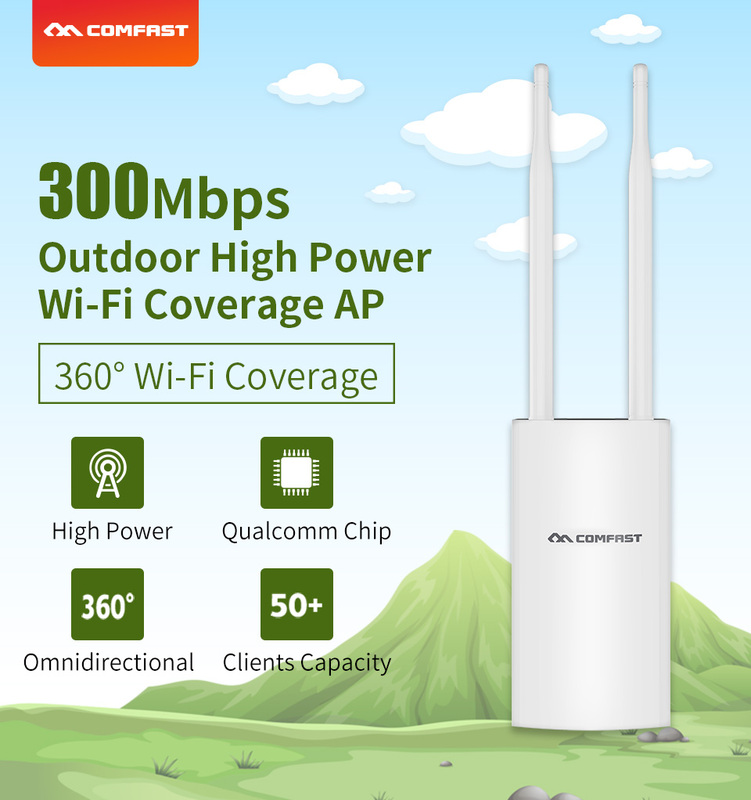 Successfully Added COMFAST Weatherproof Wireless Wifi Router External Antenna Wifi Base Station US plug to your Shopping Cart. Two oxygen-free copper antennas, 360 degree omnidirectional WIFI coverage meets the needs of different situations. Applied with SE2576L power amplifier, improves wireless network reception and transmission function. A single AP can handle 50 wireless devices concurrently and assure stable, lag-free network experience. Automatically selects suitable channel, keeps network steady.